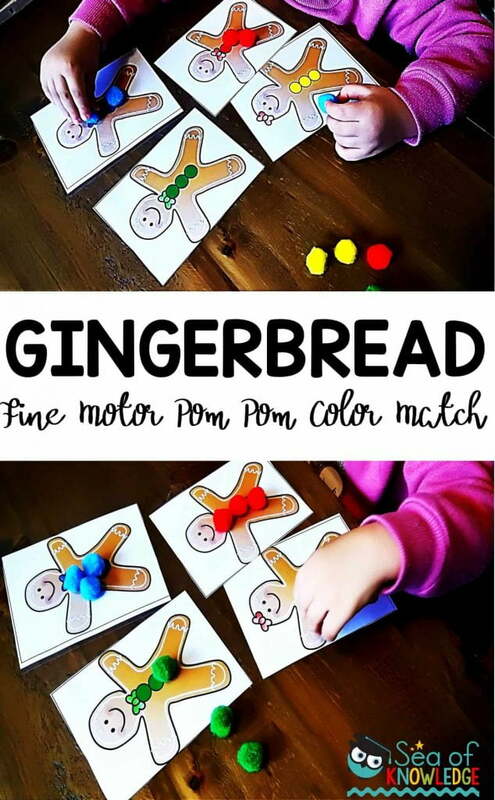 Gingerbread Color Match Pompoms Activity Cards: Last week we did a gingerbread color match activity which had Bella using her fine motor skills to place each pom pom on the colored circles shown on each gingerbread man card. 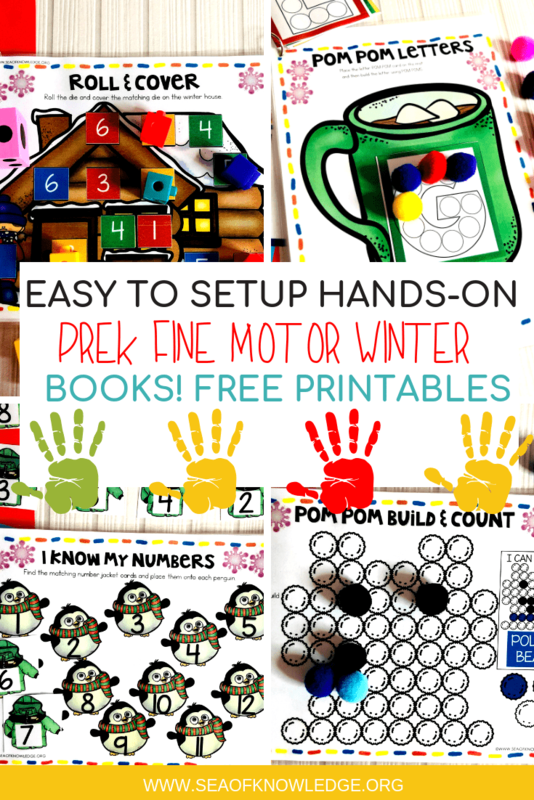 This fine motor color matching activity is a perfect one to use during November and December with preschoolers. 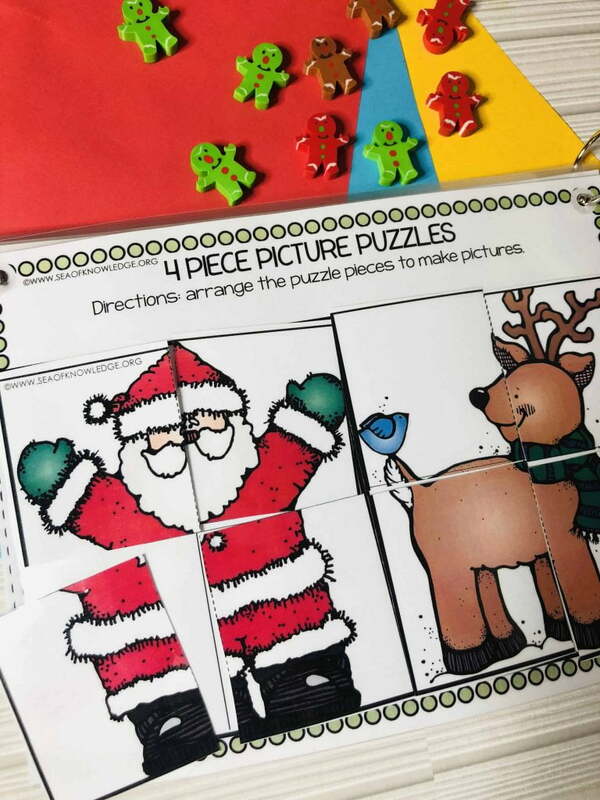 Read on to find out more and pick up these fun gingerbread men cards at the end of this post! 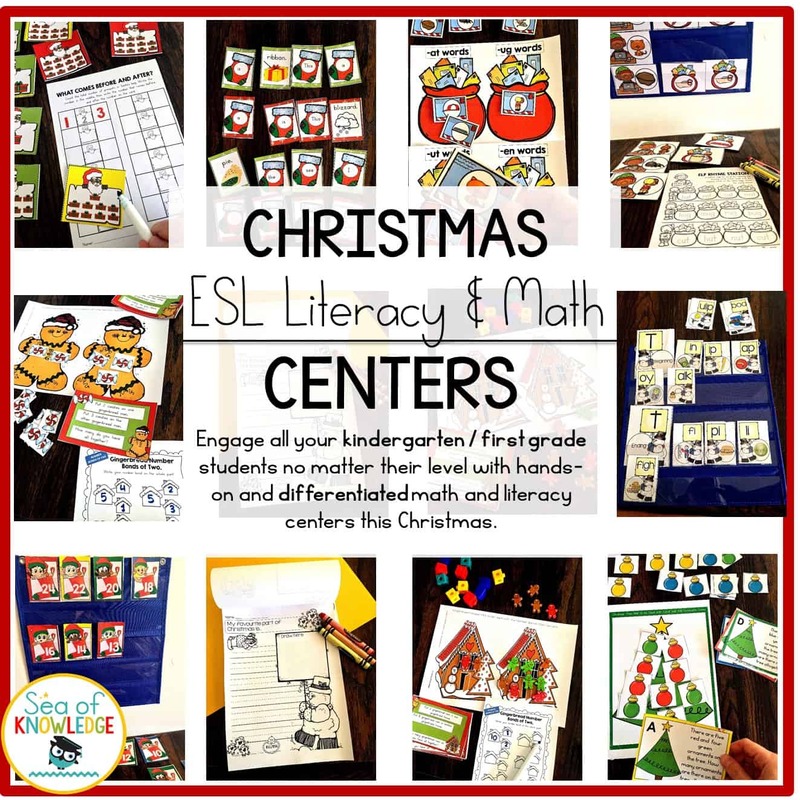 The activity can be perfectly paired with these fun and simple PRESCHOOL CHRISTMAS THEMED MATH AND LITERACY CENTERS. 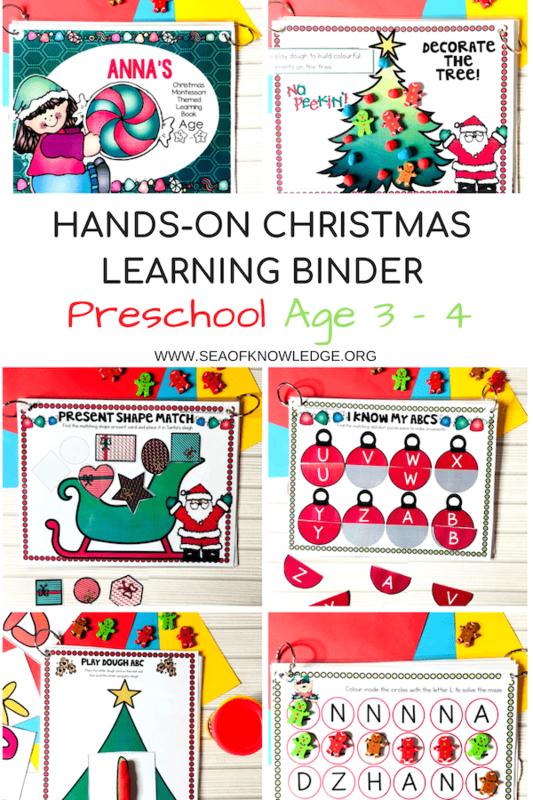 This activity is so easy to setup and use. 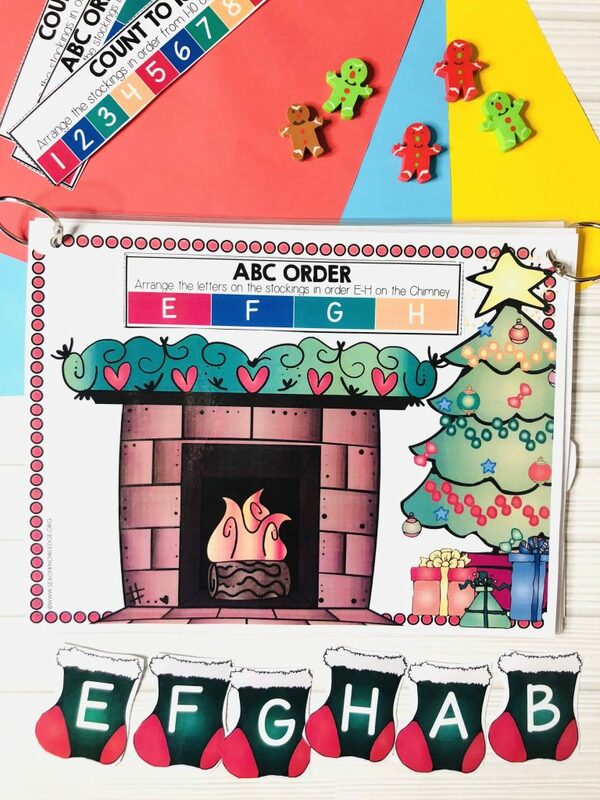 What we did first is make sure Bella knows her colors. So we went over the basic colors of the pom poms, I held out a pom pom and I asked Bella ‘What color is this pompom?’ and she’d answer with ‘red, blue, yellow or green’ . 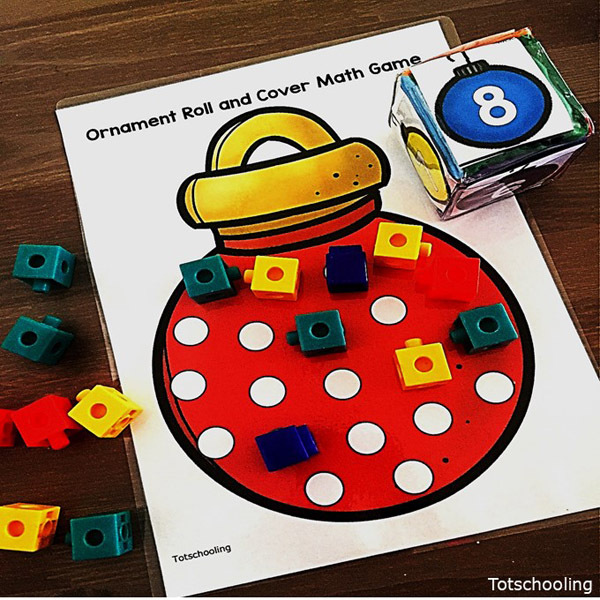 This activity included the colors green, blue, red and yellow. 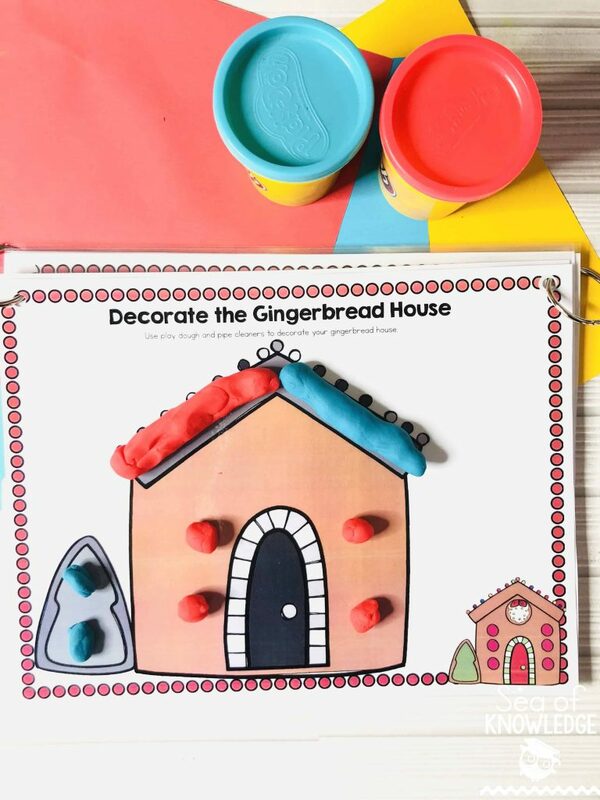 Bella is almost two years old so was able to complete this activity with minimal help. 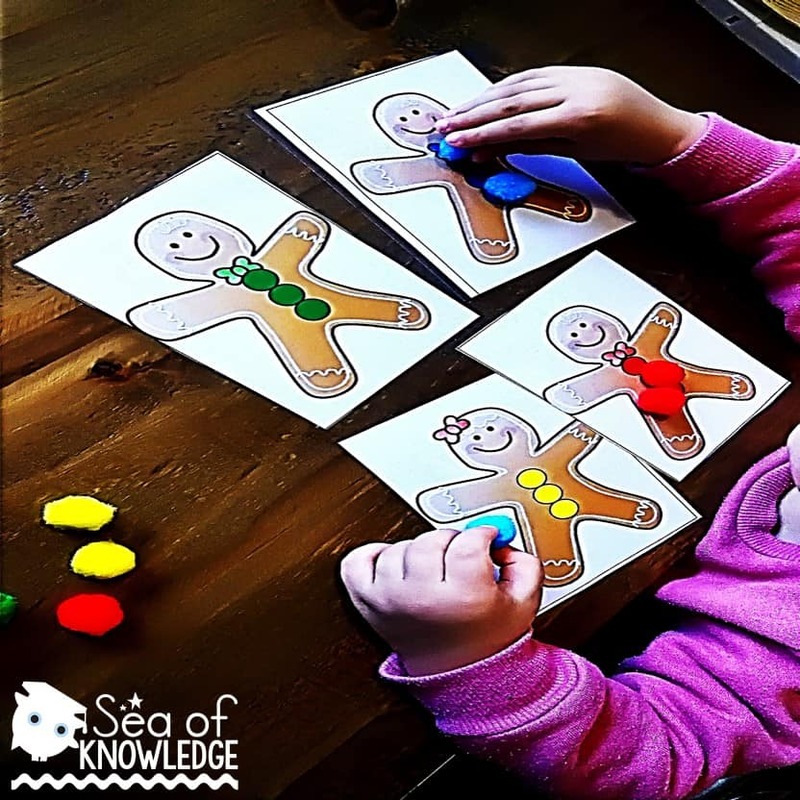 She was having trouble distinguishing between the green and the blue but in time this will become easier for her to identify. 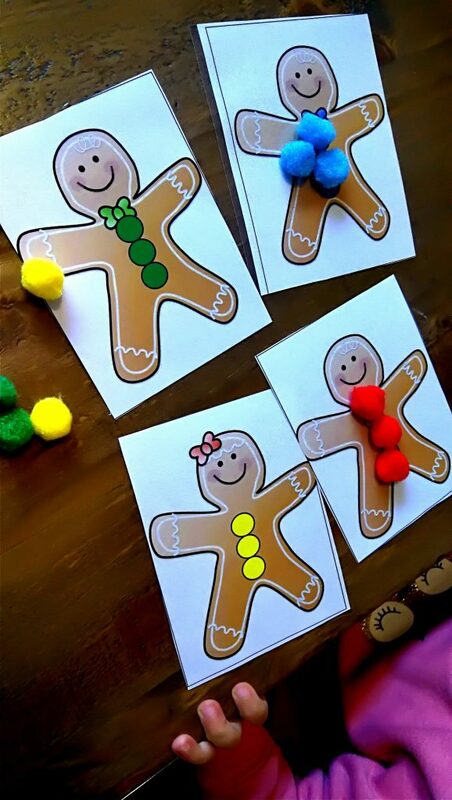 So I told her that we need to match the pom pom colors to the colors of the buttons on each gingerbread card. 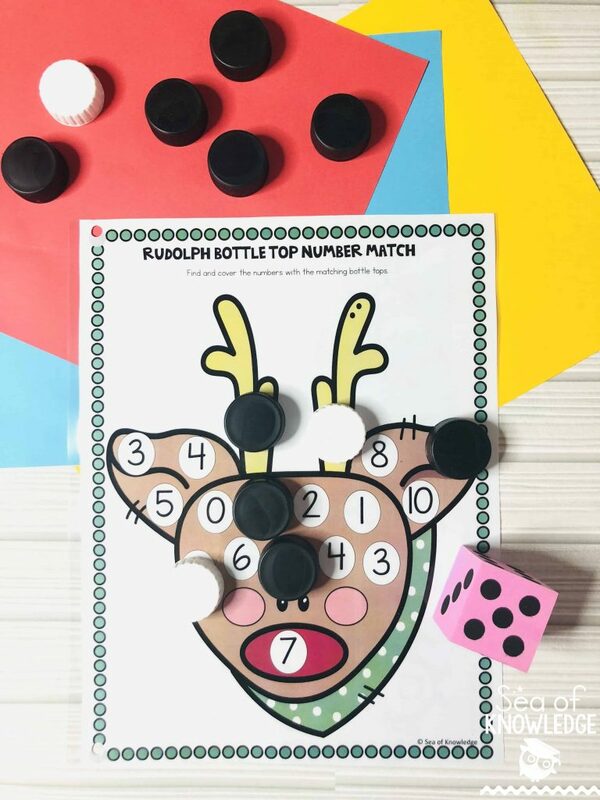 She understood this quickly and began matching the pom poms. 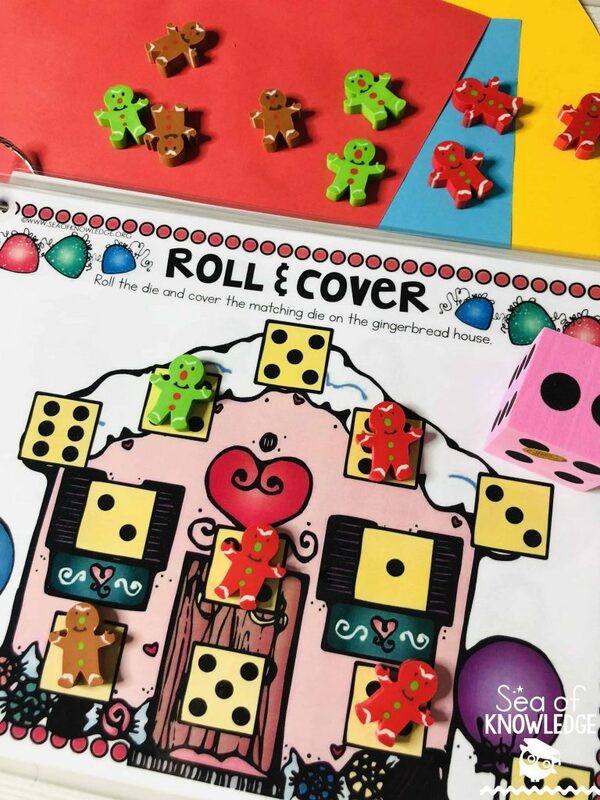 It helps to add though that we’ve been doing lots and lots of color matching activities with counters and colored chips so Bella knew the drill as she’s done this type of activity before. 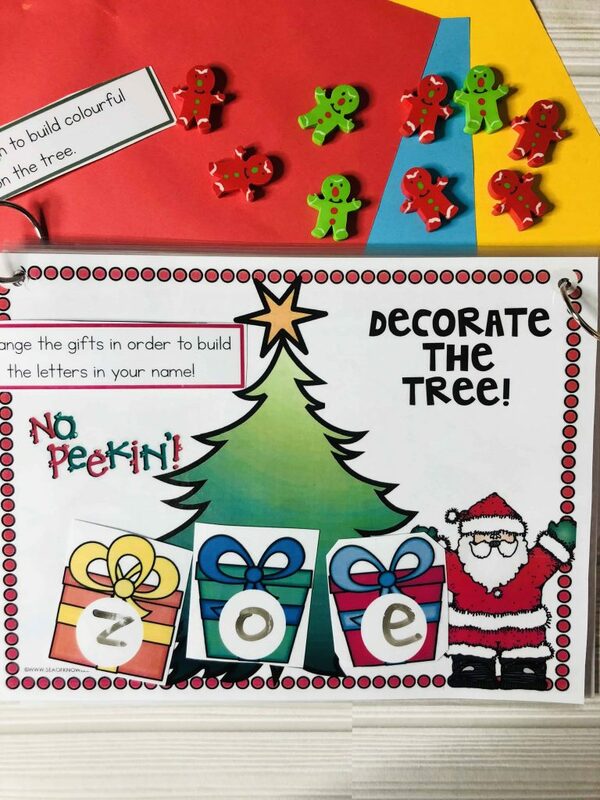 As a match extension activity, Bella and I counted how many pom poms we were placing on the gingerbread. She’s far too young to understand match concepts at the moment but she is already getting the hang of counting as we do this. 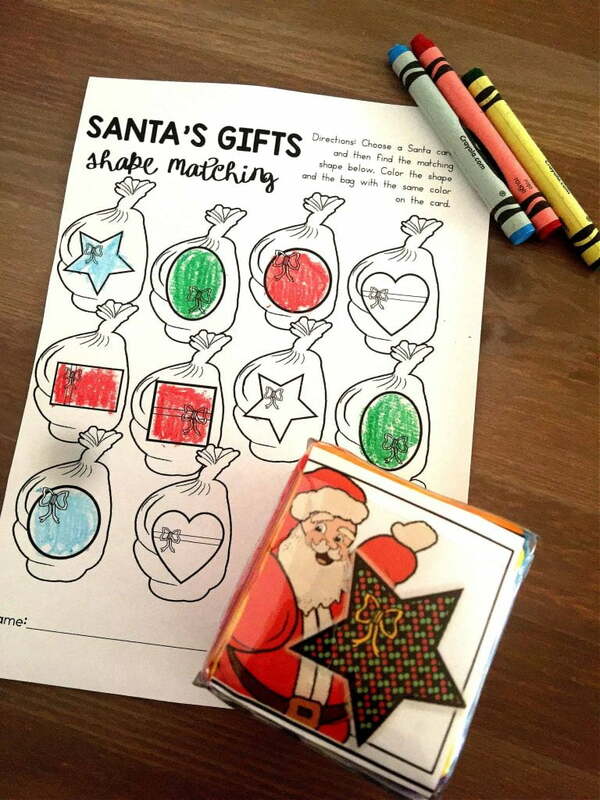 Click on the links below to access these fun activities and freebies for the festive season. 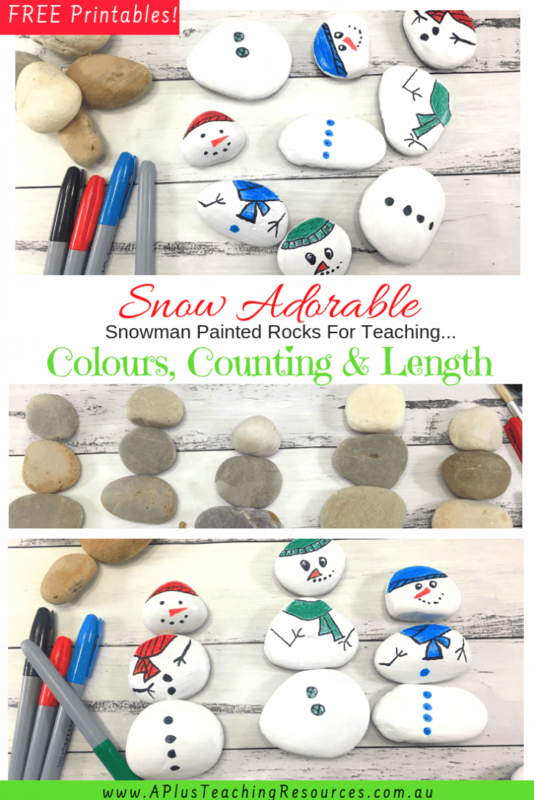 Super Cute Painted Rock Snowman to teach colours, counting and length from A+ Teaching Resources! 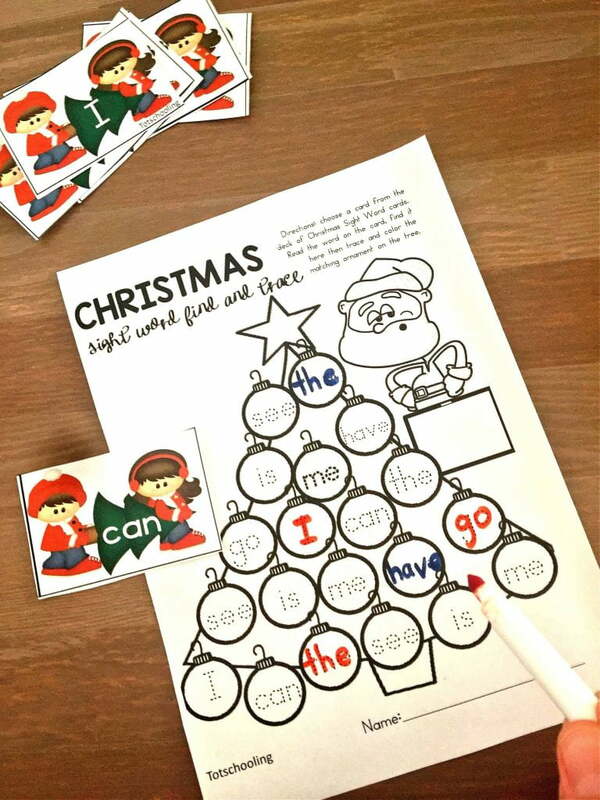 Super adorable free Printable Christmas Sight Word Games to engage any student! 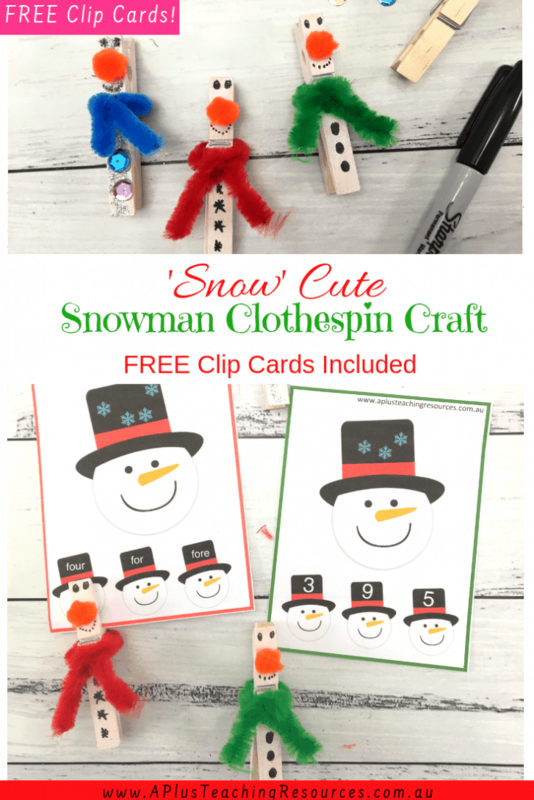 Add Some Holiday Magic with this Clothespin Snowman Craft idea from A+ Teaching Resources! 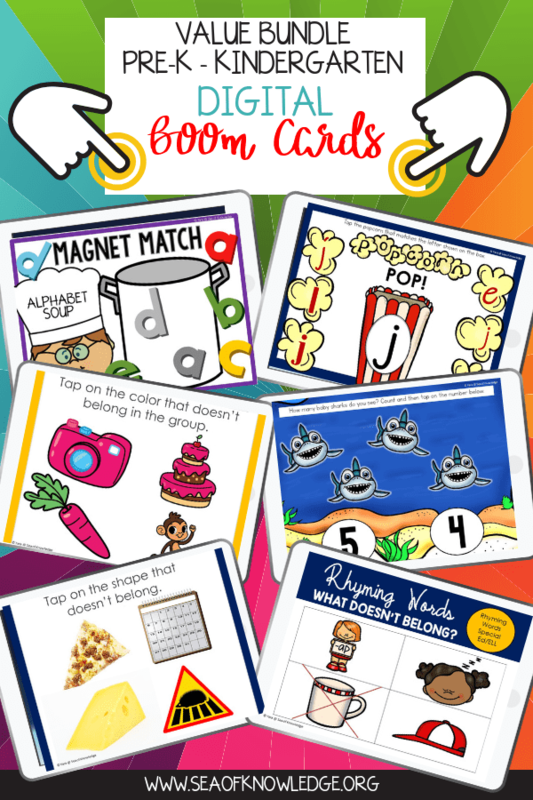 Ready to download your copy of these fun fine motor cards? 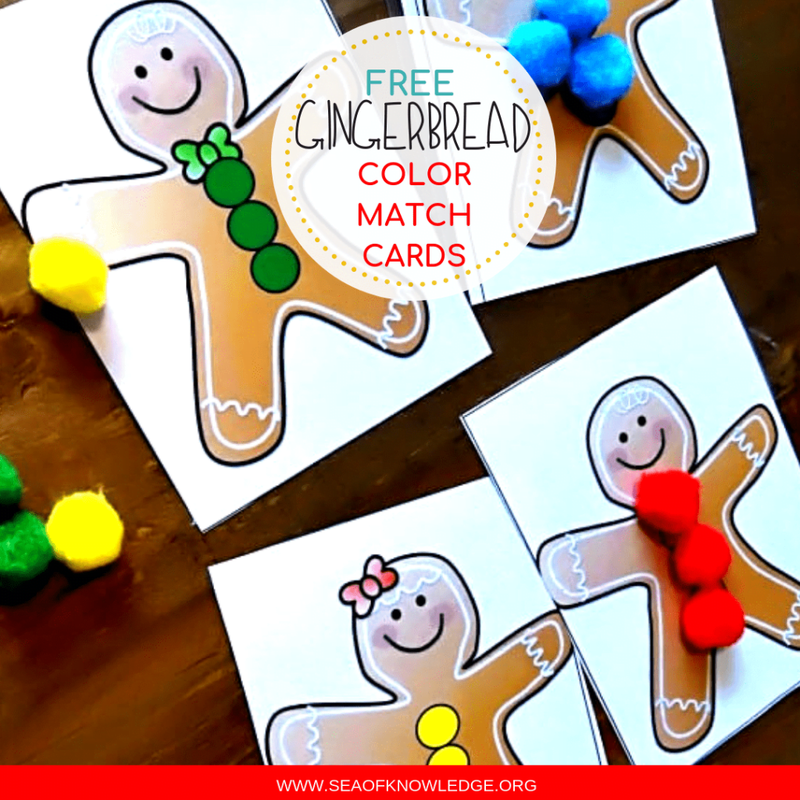 Click on the link here Gingerbread Color Match Cards or on the image below to download your free copy from the store. 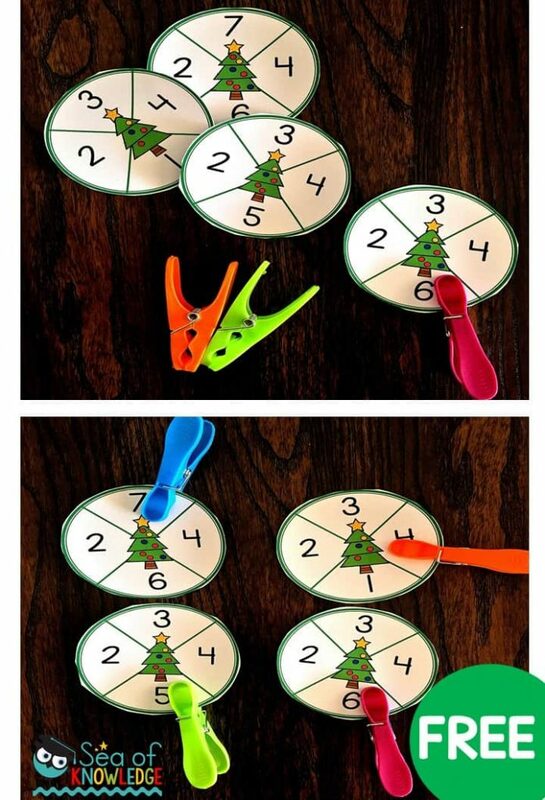 Where can I find this printable. Never mind found it, thank you. Hi Shannon, sorry you’re having problems downloading this freebie. I just tested the locker. You should see a large green ‘click here’ button once you’ve input your email. 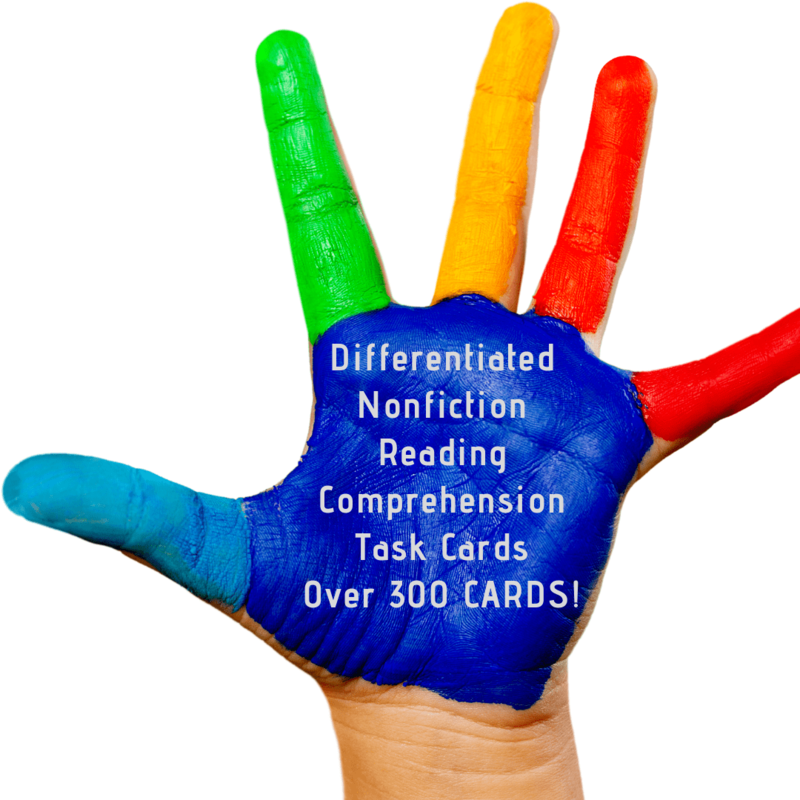 It’s working from my end along with countless others. Please try again from a different browser.